The Alstel was a very unusual American Automobile built by The All-Steel Motor Car Co. of Macon, Mo in 1915, 1916 and 1917. The Alstel was also known as the All-Steel or Macon. The All Steel Motor Car Company shocked the automobile industry with their 1915-1917 models. E. J. Spencer was president and O. A. Trolicht, secretary. Charles L Smith designed an American Automobile that was something new and different. The Alstel was known as the car without out a chassis. The two rear wheels and a ball and joint socket in the center of the front cross member of the body formed the true three point suspension. 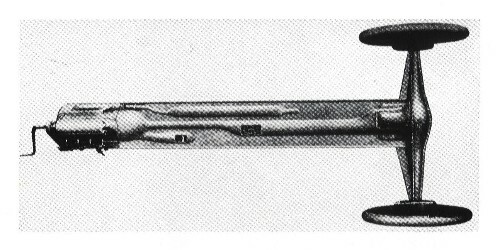 Absolute straight line drive was accomplished by eliminating universal joints.